Picture for reference only, logo may vary. These are all cast steel with no welding.Ship out 2-7 days. 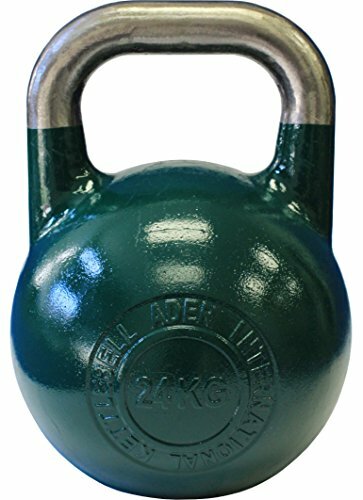 Ader kettlebells feature some of the best designs on the market, including wide handles with a smooth finish. Flat bottoms for stability during push-ups and other floor exercises. Ader Vinyl Kettlebell Set w/ Rack, Mat & DVD- (5-50 Lb), Great Gift!